The best way to come up with a down payment for a home: save for one, of course! But sometimes you’re in a hurry. Maybe your dream house just popped up on the market, or you’ve simply had it with being a renter. Whatever the reason, you’re ready to buy a house, now. But while your credit is good and your career is stable, you still need to come up with that big chunk of change for a down payment. 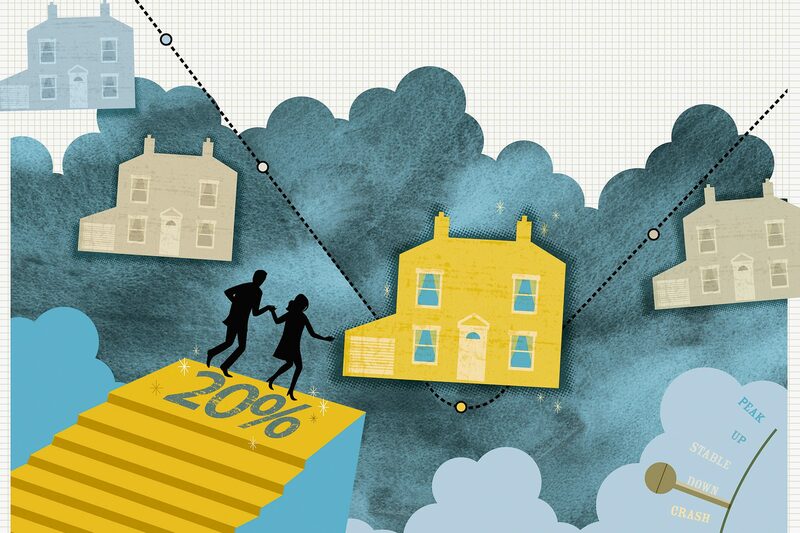 Never fear: There are plenty of ways to amass a sizable down payment fast. Check out these tactics, along with their pros and cons. If you’ve been socking away money in your 401(k), it is possible to borrow from that for a home loan—and get that cash in hand fast. “Most 401(k) plans allow you to borrow up to 50% of the vested balance, or up to $50,000, and it takes about a week,” says Todd Huettner, owner of Huettner Capital, a residential and commercial real estate lender in Denver. But it will cost you: If you take funds out of your 401(k) early—that is, before you’re 59½ years old—you’re going to take a 10% penalty on that withdrawn money. And it counts as gross income, which can bump you into a higher tax bracket. Check out this Wells Fargo calculator to see what your penalties would be. In addition to penalties, most companies require you to repay that vested money over five years—or sooner if you quit or get axed. So be sure your career is stable. Digging into your IRA usually carries the same 10% penalty of breaking open your 401(k) piggy bank, with one major difference: The penalty doesn’t apply to first-time home buyers. And unlike a 401(k), you don’t have to repay what you take out of an IRA. However, the withdrawal is still taxable. Plus there’s the matter of not repaying yourself, which can hurt your long-term retirement. So if you take out a sizable chunk, restoring this nest egg to its former level will take you many years. Let’s get real: You don’t want to stroll into your boss’ office and demand help buying your house. But you can ask if your company has an employer-assisted housing program. Think about it: Companies hate employee turnover, so what better way to keep you around than pitching in to help you buy a home? It’s a win-win: Home loans are often low- or zero-interest and are usually structured to be forgivable over a period of time, often five years, which further encourages employees to stay put. The downside? Not all employers offer it. Hospitals and universities most often do, so be sure to ask to avoid overlooking this ready source of financial assistance. Local assistance programs abound to help you scratch up cash for a down payment. Offered by either your state, your city, or nonprofits, these programs often partner with banks, who hope to gain clientele they might pass over otherwise: Bank of America, for instance, recently launched a searchable database of local programs. Wells Fargo’s partnership with NeighborhoodLIFT offers down payment assistance up to $15,000. The catch? You’ll need to qualify. For NeighborhoodLIFT, for instance, your household income has to be no more than 120% of the median in your area. Understandably, many home buyers turn to their family for help buying a home, and for good reason: There are no limits on how much a family member can “gift” another family member, although only a specific portion can be excluded from taxes ($14,000 per parent). But it’s not just as easy as that. Gifters, even family, will need to provide paperwork in the form of a gift letter. And if the gifter is a friend, it gets even more complicated. For example, you’ll have to wait about 90 to 120 days before you can use any of those funds.